Oh God, Where Were You When I Needed You? The Bible Does NOT Promise "Heaven"! Why is it there are no segregated graveyards? Never have you seen indicated on tombstones that some of the bodies there were only the physical relics of souls which are now screaming in hell fire! Yet, such is the belief of millions who confidently assume the teaching of a heavenly home, or an ever-burning hell. No matter how sinfully the recently departed might have lived, many a pastor seems able to comfort distraught loved ones with the thought that, at the very last moment, cantankerous and crusty old Uncle Claude somehow made it through the pearly gates! For over twenty-eight years, I have offered a certified cashier's check for $10,000 to anyone who can come up with the words "immortal soul," "When we get to heaven," "I will see you in heaven," and "We go to heaven when we die." Not in all those twenty-eight years, with millions hearing my words, has a single person been able to claim the certified cashier's check for $10,000! Believe it or not, this planet will be the scene of a MASSIVE INVASION FROM OUTER SPACE, probably within YOUR LIFETIME! The invasion will be preceded by the greatest wars in all history; by massive earthquakes wherein MILLIONS will be killed; by monstrous disease epidemics and famines, and by such mind-boggling displays in the solar system that people will topple over dead from heart attacks! The sun will suddenly turn BLACK; the moon will appear red as blood; a vast meteorite shower will SHOCK the world with tens of millions of asteroids streaking across the sky! Huge tsunamis or tidal waves will ravage hundreds of major coastal cities! The invasion will come just as a massive nuclear exchange has occurred; when, if it were not for INTERVENTION FROM SPACE, there would not be a man, woman, or child left alive on this earth! HALLOWE'EN, commonly spelled without the apostrophe today, is utterly PAGAN! All its symbols and customs stem from ancient heathen mythology. Why should any Christ-centered, Bible-believing person revel in ghoulish death? What place have witches, goblins, demons, skeletons, "Jack o' Lanterns," black cats, and the worship of "Samhain, the Lord of the Dead," in a Christian society? Millions use "Halloween," as it is commonly misspelled today, as an excuse for wild revelry. Little do they know that it is the ghoulish "New Year" for Satanists! Are you a slave to custom? Do you blindly accept whatever "society" imposes upon you, blissfully ignorant of the origin and meaning of commonly observed customs? Each October, like so many dupes or slaves, hundreds of thousands of shopkeepers and clerks labor to install their usual "Halloween decorations" each October.Each autumn, thousands of markets, drugstores, department stores and millions of houses and lawns become scenes of "jack-o'-lanterns," witches, broomsticks, black cats, leering skeletons, weird, bleeding skulls, knives, daggers, spears and swords, bloody masks, fake spider webs and other symbols of the devil and his demons, and macabre death. I am not disputing that the earth is billions of years old, and the Bible DOES NOT claim it is only 6,000 years old, as many claim. The Bible clearly states that our earth was reformed for Adam, NOT CREATED! However, it is The Plain Truth that evolution is nothing but junk science, just as is climate change. And the lies that these scientist spew are often down right laughable. Here is the latest! A new study says what were billed as the oldest fossils on Earth may just be some rocks. Two years ago, a team of Australian scientists found odd structures in Greenland that they said were partly a leftover from microbes that lived on an ancient seafloor. The tiny structures were said to be 3.7 billion years old. But different researchers concluded in a study published Wednesday that the structures were likely not fossils. The Australian scientists defended their work. In a statement, they said the researchers didn’t take samples from the same places. Christ Didn't Come To Save the World! Tomorrow is Pentecost, one of three of the required special Sabbaths in the Bible... Each of these three festivals are a week long! God actually intended his people to have 52 Sabbath's off a year, 3 weeks of vacation, plus a few others! NICE BOSS! The Arabian watched as the trader made a circling motion around his head with his index finger and rolled his eyes derisively. He didn't understand a word the Egyptian–Jew had said, but he got the message. A Phrygian camel driver laughed, gestured toward the disciples who were in full view, and said, "I'd like to know how they do it--I mean, how is it that they manage to have all those flames flickering around their heads, and not a hair singed?" Neither of the other men understood the Phrygian, until a Levite from Media, who was skilled in all three languages, translated for each of them. "They can't be drunk, seeing it's only about 9:00 in the morning, and there isn't a wineshop open in the city--but tell me this, how is it that each of you are understanding what these men have been saying, when they are speaking in my language?" The Egyptian looked startled, and the Arabian's mouth dropped open. The Phrygian camel driver laughed, "Oh, no. Impossible! They, every one of them, have been speaking in my tongue--which is surprising, for not many in Jerusalem know the dialect of Phrygia!" The word had spread like wildfire throughout the city: "A miracle! A miracle! Some of the followers of that man Jesus, who claimed to be the Messiah, are standing there with their hair on fire, and speaking in about sixteen different languages and all of us are hearing them in our own dialect!" When the excited babble of voices came to Peter, after most of the other disciples had addressed the crowd, Peter stood up, gestured for silence. His hair was blazing; flickering tongues of flame were leaping over his head like a golden corona; yet, there was no damage to his head or hair! "Men of Judaea, and all of you who live in Jerusalem, let this be understood! Listen to my words! These men are not drunken, like you think they are, seeing it is only the third hour of the day. "But this is that which was spoken by the prophet Joel; 'And it shall come to pass in the last days, saith God, I will pour out of my Spirit upon all flesh: and your sons and daughters shall prophesy, and your young men shall see visions, and your old men shall dream dreams: And on my servants and on my handmaidens I will pour out in those days of my Spirit; and they shall prophesy.'" The Phrygian nudged the Arabian, who looked at the Median Levite. "Did you understand that?" The Phrygian asked no one in particular. The linguist from Media rapidly asked each the same question, and all nodded vigorously, their eyes wide with wonderment. "Something is going on here--something I can't explain!" the Levite said to them. "We'd better listen!" Can any of us truly imagine what it must have been like for the large crowd of people from all over the Mediterranean world to have been assembled in Jerusalem on that momentous day? Can we picture, for even a moment, the astonishing sight, the astounding words that were spoken, or the excitement and wonderment that swept over the audience? One of the most stupendous miracles of all time was taking place before their astonished eyes, and filling their ears. It was the miracle of Pentecost, when God's Holy Spirit was first made available to the human race; when the "other Comforter" Jesus Christ promised (John 14:26) was sent to mankind. I have been predicting the eventual creation of a "United States of Europe" for more than 45 years on radio and television, in many articles and in major booklets. Continually, I have emphasized that the eventual "Beast" power which is prophesied to emerge will not grow gradually out of the present 15-nation configuration, which includes nations I believe are part of the so-called "lost ten tribes of Israel." Those nations include Britain, Norway, Sweden, Denmark, Finland, Holland, Belgium, and northern France. For decades, I have predicted that Britain would NOT be a part of the final ten nations which will form. Now, with the German Chancellor wanting to hurry the process of developing a European Superstate, with Germany playing the pivotal role, Britain is appalled. If you have not yet read my book Europe and America in Prophecy, please call or write for your free copy immediately. We had run completely out of stocks due to high demand, and I have ordered it reprinted. You should be watching developments in Germany and Europe. It is in the heartland of Europe where the so-called "Holy Roman Empire" held sway, and it was in Rome where the fundamental structure of a future united Europe was decided upon. The eventual "Beast" power will not come about as a gradual development during a world at peace, but most likely in the aftermath of a global economic collapse. When that happens, the "conspiracy" theorists will have a heyday. The Germans will once again seek a scapegoat — not only the United States, but likely the British, and the "Jewish Bankers." Watch. No Man Has Seen God! Is the Next Great Prophetic Event THE RAPTURE OF THE SAINTS? For years, network news media have questioned various religious leaders who had confidently predicted the "rapture" on a given date. Recently, one such would-be prophet was required to change his earlier book title about the "Rapture of 1988" to the "Rapture of 1989," going into all manner of apologetic detail on why he had misfigured his chronology by one year. I haven't heard from him in 1990, '91, ’92 and so on. Millions believe in the rapture. Yet, the word is nowhere in the Bible. Is Christ going to come in "two phases": first, for His saints (in the "secret rapture"), then with His saints, years later? Here is what your Bible plainly says about what many call "that blessed hope," the doctrine of the rapture of the saints. Where was GOD when over 20 people were killed in Manchester? I have run the Garner Ted Article article (below) before, and do so after many tragedies. Many often wonder how these things could happen in a modern world. People ask, “how could a loving God allow such tragedies?” People blame God, guns, conservatives, the media, and everybody else – other than themselves. Where is God when tragedies like these occur? Where is God when a million abortions a year are slaughtering the innocence in the womb? The Plain Truth is that God is where THEY (YES 'THEY' – as GOD is the English word that means Jesus and the Father) have been for most of the last 6,000 years. God is in heaven, allowing us to run our own lives, follow our own ways, worship our own false gods and follow pagan holidays that God has nothing to do with. Most people do not want God in their lives. It's a hard simple fact. Most do not want to follow the Law of God, when it does not suit their needs. We want to be free to do what we want to do, since the time we first walked up until the time we draw our last breath of life. We want a God of convenience, and not a God who orders us to obey physical and spiritual laws. We want to follow Christmas, not because it is found in the Bible, but because it makes US feel good. We really don't care what God thinks about the holiday – we really don't care, because if we did, very little research would make us draw a conclusion on our lives, that we do not want to face. We are in a worship the homosexual mode in the world today. Somehow this massacre in Orlando seems to be more tragic because it happened in the queer community. I guess queer lives matter more than Christian lives, slaughtered every day by ISIS and nobody cares at all! But homosexuality is a sin against God, and there is punishment for breaking God's LAWS. We are not to worship sinful behavior and make excuses. Because we are doing this, more tragedies will occur! God is alive. God is real and punishment is coming! 15 “Watch out for false prophets. They come to you in sheep’s clothing, but inwardly they are ferocious wolves. By their fruit you will recognize them. Do people pick grapes from thornbushes, or figs from thistles? Likewise, every good tree bears good fruit, but a bad tree bears bad fruit. A good tree cannot bear bad fruit, and a bad tree cannot bear good fruit. Every tree that does not bear good fruit is cut down and thrown into the fire. Thus, by their fruit you will recognize them. 28 When Jesus had finished saying these things, the crowds were amazed at his teaching, because he taught as one who had authority, and not as their teachers of the law. It's not hard figuring out why God allows tragedies. The majority refuse to obey God, and therefore all of us suffer because of this fact. We want “democracy” and God has allowed us to get what we ask for. Until God returns and establishes THEIR Kingdom, we will continue to experience that fate of those who are in rebellion against God. The Real Jesus - You may be Surprised! When the phrase Christianity or Christian religion comes up, no doubt concepts of Jesus Christ, the 12 disciples, the Apostle Paul, perhaps the Protestant Reformation or the Catholic Inquisition are some of the thoughts that may come to mind. No doubt, the spectrum is wide, as a multitude of concepts pertinent to Christianity exist. Concepts such as Sunday, the Lord’s Day, Sunday go to meetin’, cathedrals, crosses, statues, icons, crucifixes,TV Evangelism; mega-churches, differing denominations, priests, bishops, reverends, pastors, ministers may come to mind. Now mention Christian holidays and what comes to mind? Christmas, Halloween, All Saints Day, St. Valentine’s Day, St. Patrick’s Day, Ash Wednesday, Lent, Good Friday, Easter, perhaps even Pentecost. These days are the more common holidays, which are associated with and are unique to Christianity. The word holiday derives from the Old English word haliddaeg, meaning halid (holy) daeg (day), indicating a day that is sanctified and consecrated, separate and different; observed as a day above and beyond normal; not to be treated as ordinary. However today, in substance and certainly in practice, most Christian holidays are no more holy than is a day in front of the television watching mud wrestling. Reaching back into history, consider the Holy Day called Pentecost. This day cries out significance and sanctification; for on this day a new institution, the Christian religion with the focal point being the Church of God, composed of followers of Christ (Greek christianos – Christians) came into being. In the second chapter of the book of Acts, we read, “When the day of Pentecost came, they were all together in one place. Suddenly a sound like the blowing of a violent wind came from heaven and filled the whole house where they were sitting. They saw what seemed to be tongues of fire that separated and came to rest on each of them. All of them were filled with the Holy Spirit … (Acts 2:1-4 NIV). As the remainder of the narrative recorded in the second chapter of Acts reveals, the first great sermon preached by the Apostle Peter resulted in the repentance and baptism of some 3,000 people, all in one day. The BIBLE, Fact Or Fiction? Is the Bible REALLY the Word of a Supreme Being? Or, as the skeptics and evolutionists say, is it a collection of Hebrew myths, distorted history, poetry and glaring contradictions? Is there any real PROOF that the Bible is the word of God? For if it is not, then hundreds of millions of Christ-professing "Christians" are deluded into believing in myths! Does the Bible contradict itself? Skeptics say yes, many times. Does the Bible present us with wholly impossible scenarios; unbelievable historical accounts, and unscientific claims? Scoffers and doubters say yes. Evolutionists, agnostics, skeptics of every sort are quick to challenge the Bible on many fronts. A favorite attack against scripture is the age-old question, "Where did Cain get his wife?" Another is why the fifth commandment says "Thou shalt not Kill," and yet, God commanded the Israelites to kill thousands of their enemies: "Thus shalt thou do unto all the cities which are very far off from thee, which are not of the cities of these nations. "But thou shalt utterly destroy them; namely, the Hittites, and the Amorites, the Canaanites, and the Perizzites, the Hivites, and the Jebusites; as the LORD thy God hath commanded thee" (Deuteronomy 20:15-17). "You see?" challenge the scoffers, this "God" you say inspired the Bible says "Thou shalt not kill," and then turns right around and says, "kill them all, even their little babies!" Several times a year, I receive angry, challenging letters from such doubters, who are trying to convince themselves there is no God, or, if there is, He did not inspire the Bible to be written. How about you? Are you equipped to answer challenges from those who point out alleged Bible contradictions, or who say the Bible is uninspired? Is the world's greatest nation ignored in Bible prophecy? If it is, how could prophecy be considered valid? How could prophecy be inspired, If the United States of America is nowhere mentioned? Surely, if Bible prophecy is relevant to our times, NOW, then it MUST mention the United States! Many small, insignificant nations are mentioned: Ethiopia, Libya, Syria, Egypt. Students of prophecy know that many Middle-Eastern nations are identified; some of them by their modern names. What about Great Britain, Canada, Australia; the Commonwealth? For that matter, what of the nations in Europe? The breathtaking rise to power and national greatness of the United States is unparalleled in all history! The course of world history has been dramatically altered by the rise of the United States. Today, we are a major superpower. American astronauts have walked, driven a vehicle about on the surface of the moon. In two world wars, Americans have lent decisive support to their brothers in England and France, as well as other nations, emerging victorious in global struggles which led directly to America's super power status. Think of world history for the past one hundred years! How much influence has America exerted? How important has been England's contribution? It is absurd to believe the prophecies of the Bible could be accurate; that they could be up-to-date, portraying events to occur in our times, NOW, if they OMIT mention of the United States and Britain! This would be an oversight, an error so gross as to challenge the very credulity of the Bible itself! But the United States is mentioned in Bible prophecy—believe it or not, more often than any other nation! Are Bible prophecies merely the literature of a bygone age—fireside tales of seers and sages of yesteryear; wrathful pronouncements of indignant prophets? Are they merely the dead, ancient fragments of literature from a forgotten race; histories, genealogies, myths? Or is the one full third of the Bible which is prophecy actually relevant—meaningful to US; to our children and grandchildren in this modern nuclear age? Every time you encounter prophecies concerning ISRAEL and the SECOND COMING OF CHRIST, Israel is found to be in a state of CAPTIVITY, horrible slavery, privation, suffering, starvation! The time setting is OBVIOUS, impossible to ignore! Not only is the modern nation of Israel in the land of Palestine to suffer YET ANOTHER TERRIBLE HOLOCAUST—SO SHALL THE UNITED STATES OF AMERICA AND BRITAIN UNLESS WE REPENT, AND TURN TO OUR GOD! God commands, "Seek ye the Lord while he may be found, call ye upon him while he is near: Let the wicked forsake his way, and the unrighteous man his thoughts: and let him return unto the Lord, and he will have mercy upon him; and to our God, for he will abundantly pardon. "For my thoughts are not your thoughts, neither are your ways my ways, saith the Lord" (Isaiah 55:6-8). Jesus Christ commanded, "REPENT, and believe the Gospel!" On the Day of Pentecost, Peter cried out, "REPENT, and be baptized, and you shall receive the gift of the Holy Spirit!" To those who heed God's commands; who accept the invitation of Jesus Christ, God says, "Because thou hast kept the word of my patience, I will also keep thee from the HOUR OF TRIAL [GREAT TRIBULATION], which shall come upon all the world, to try them that dwell upon the earth" (Revelation 3:10). David cried out, "He that dwelleth in the secret place of the most High shall abide under the shadow of the Almighty. I will say of the Lord, He is my refuge and my fortress: my God; in Him will I trust. Surely He shall deliver thee from the snare of the fowler, and from the noisome pestilence. He shall cover thee with his feathers, and under His wings shalt thou trust: His truth shall be thy shield and buckler. Thou shalt not be afraid for the terror by night; nor for the arrow that flieth by day; Nor for the pestilence that walketh in darkness; nor for the destruction that wasteth at noonday. A thousand shall fall at thy side, and ten thousand at thy right hand; but it shall not come nigh thee. Only with thine eyes shalt thou behold and see the reward of the wicked. Because thou hast made the Lord, which is my refuge, even the most High, thy habitation; There shall no evil befall thee, neither shall any plague come nigh thy dwelling. For He shall give his angels charge over thee, to keep thee in all thy ways" (Psalm 91:1-11). What about you? Have you settled the BIGGEST question of your life—what will happen to you in the future? Are you safe and secure in the arms of God; under His Divine PROTECTION? Make no mistake! 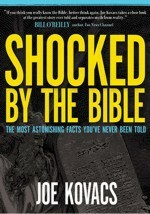 What you have read in this book is truth! Read the many, many books in the bibliography! Study the voluminous amount of literature available which PROVES beyond the shadow of a doubt, our national identities! But remember, whether you believe the truth about our identity or NOT, the Great Tribulation is SURELY COMING! Where Does Russia Fit in End-Time Bible Prophecy? The Plain Truth: Are You Following ANOTHER JESUS? The Plain Truth: BRITAIN EXITS THE EU! The Shite just hit the fan! July 4th and The Number "13" - The United States is lost Israel! A 20 Year Old Prediction of TODAY! GTA TV Promo Plus "Is There A Real Hellfire? - GTA Ep. #2/2011 from Garner Ted Armstrong EA on Vimeo.